Naypyidaw (Myanmar) – February 21, 2018 (travelindex) – Myanmar is a truly breathtaking land, where stunning scenery, exquisite cultures and iconic images combine to create an exciting and enchanting destination for international travelers. However, in a country larger than Thailand, where there are so many different wonders to explore, travelers can often be overwhelmed by the array of choices on offer. 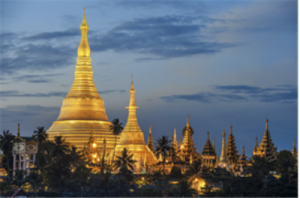 Fortunately, Best Western Hotels & Resorts has developed a collection of hotels in some of Myanmar’s most magical destinations, allowing guests to experience this diverse country in style and comfort. To learn more or book your next stay at Best Western Green Hill Hotel, CLICK HERE. Alternatively, Best Western Chinatown Hotel is ideal for guests who want to keep their finger on the pulse. Just a few minutes from Strand Road and the golden Sule Pagoda, this superb city hotel offers 91 rooms, a restaurant, business center, meeting rooms and free Wi-Fi, ensuring that all travelers are kept fully connected. To discover more or to book Best Western Chinatown Hotel, CLICK HERE. Nestled on the banks of the Nyaung Shwe River, which flows into Inle Lake, Best Western Thousand Island Hotel is perfectly positioned for guests seeking to explore this enchanting body of water. With 48 modern rooms, a restaurant, cocktail lounge, free Wi-Fi, a billiard room, riverfront café and even a rooftop bar, this exceptional hotel also provides a wonderful place to unwind after your days or discovery. To learn more about Best Western Thousand Island Hotel and to book your next stay, click here.